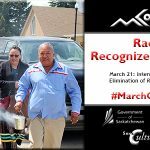 March 21 Campaign – Racism: Recognize it. Reject it! 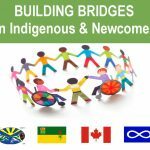 BRIDGES, (Building Relationships through Intercultural Dialogue and Growing Engagement in Saskatchewan) is a provincial partnership between the Multicultural Council of Saskatchewan (MCoS), the Aboriginal Friendship Centres of Saskatchewan (AFCS) and the Saskatchewan Association for Immigrant Settlement and Integration Agencies (SAISIA). Our three organizations are well-placed to lead this work. Friendship Centres are designed to welcome everyone, which makes them a good space to build bridges. SAISIA gives voice to the settlement sector and provides networking opportunities. MCoS works to support organizations in the multicultural community and has a particular interest in intercultural connections as its one of the streams of multicultural work. We are acutely aware of the challenges posed to all Canadians by the legacies of colonialism, including legal restrictions and residential schools, and the need to break down stereotypes and build relationships. As a country, we are just beginning to embark on the long-term process of reconciliation. Establishing trust takes time and can be achieved by getting to know each other, learning about norms, protocols and traditions, sharing cultural practices and values, and seeing each other as community members with a common stake in the future. BRIDGES Phase 1: Blueprints for BRIDGES with research through literature, interviews and consultations with the following communities in Saskatchewan: Prince Albert, Saskatoon, Yorkton, and Regina. The partners recognized a need and desire to offer opportunities for communities to learn and engage in BRIDGES activities that can be demonstrated to have a positive impact on participants and their communities. AFCS received SaskCulture Multicultural Initiatives Fund (MIF) project funding for 2014-15 to conduct this first phase of the project. Top to bottom: (1) Intercultural shindig; (2) Storytelling; (3) Talking tables; (4) Round dance; and (5) Tapestrama. BRIDGES Phase 2: Pilot project Common Ground in Prince Albert created (2015-2016) in partnership with the Prince Albert Multicultural Council (PAMC), the Indian and Métis Friendship Centre of Prince Albert (IMFCPA), the YWCA of Prince Albert which houses the Regional Newcomer Centre, and Common Ground project coordinator Karen Kay. The pilot project was involved in developing and implementing initiatives pursuant to its goals and objectives in two types of events: (1) Initiatives undertaken in conjunction with events developed by other organizations in the community; and (2) Initiatives undertaken in conjunction with events developed by the Common Ground with its partnerships. Four out of the five events illustrated event pictures were organized by the common ground pilot project. For more information on this project visit Common Ground Facebook page. Dr. Joseph Garcea, Chair of the Executive Committee of Immigration Research West and Political Science Professor at the University of Saskatchewan, and several students contributed to this phase by conducting a summative evaluation. Its purpose is to provide an overview and assessment of the ‘Common Ground Pilot Project’ developed and implemented in Prince Albert, Saskatchewan from September 2015 to March 2016. The findings from this report and previous research have been used to articulate criteria for local projects in Phase 3. Phase 3: Newcomer-Indigenous local project funding. Criteria emergent from Phases 1 & 2. With financial support from Affinity Credit Union, Business for the Arts (artsVest), AFCS and MCoS, we are able to support local projects in Regina (Youth BRIDGES), Prince Albert (next steps for Common Ground), and Saskatoon (beginning at the organizational level). As part of our Welcoming and Inclusive communities project funded by the Department of Canadian Heritage’s Canada 150 funding, we have been able to orient people from Regina, Prince Albert, Saskatoon, Swift Current, Indian Head, and North Battleford. 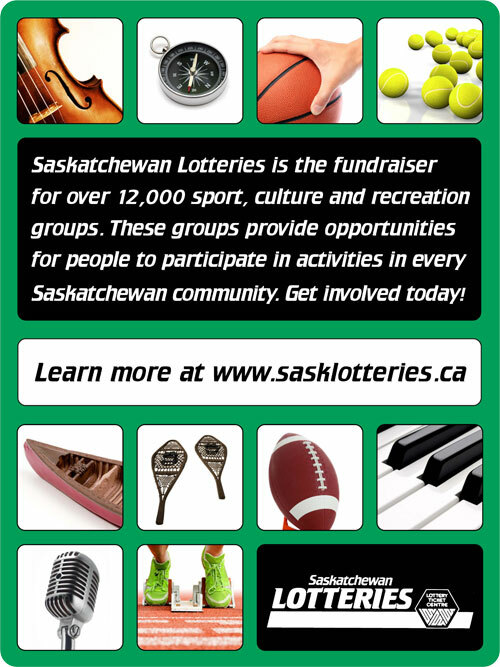 MCoS is able to support work in this phase with an Education and BRIDGES Coordinator made possible by Saskatchewan Lottery funding through SaskCulture. Phase 4: Future plans to expand intercultural activities beyond Indigenous and newcomers. We are planning to create opportunities for local projects. We recognize our shared history and treaty relationships, as well as the importance for ongoing relationship building, cultural reclamation and continuity and social justice work with Indigenous people and communities. This reconciliation includes ensuring that newcomers learn about the history, treaties, and current contributions of Indigenous peoples and have opportunities for interaction. 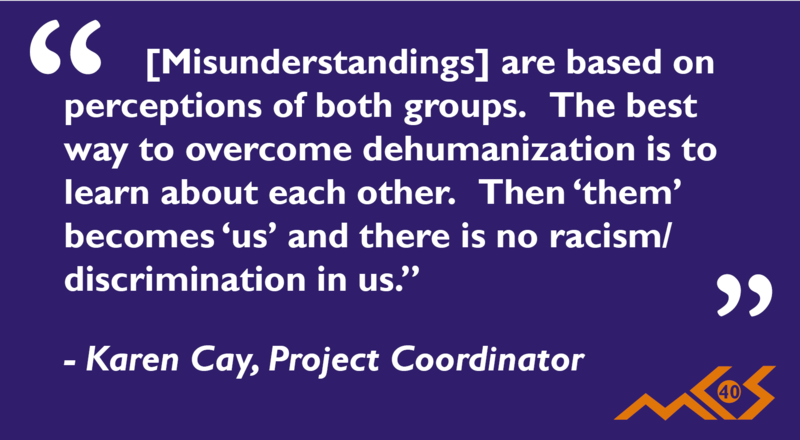 We begin with a focus on these two growing, but often marginalized, populations, with an intention to actively cultivate relationships between all members of communities. Foster improved working relationships between local Aboriginal and Newcomer organizations and community members. Foster improved cross-cultural understanding and relations. Promote and facilitate collective community-based action to foster improved relations and social cohesion. Create welcoming and inclusive communities for all members with a focus on the needs, interests and contributions of newcomers and Indigenous people. Apply measures to assess the nature and strength of these relationships. The provincial BRIDGES partnership chose to respond to the arrival of government-assisted Syrian refugees in Prince Albert, Saskatoon, Regina and Moose Jaw with an initiative to ensure that this group of newcomers understand our history and current issues, our treaty relationships and have the opportunity to get to know Indigenous Canadians and their rich culture in an atmosphere of sharing. We worked with local friendship centres, settlement agencies and multicultural organizations in each location to invite Indigenous Elders, youth and drum groups as well as Syrian refugees and other recent newcomers, and local leaders to join us. We are able to do this important work through the support of SaskCulture. See 2015-16 Annual Report for full story. It is important for young people to learn about each other and establish cross-cultural relationships. This project is creating opportunities to come together and build positive communities. 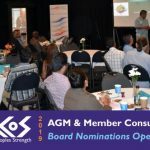 To begin, MCoS has partnered with Regina Open Door Society (RODS) and Newo Yotina Friendship Centre (NYFC) on a project to build bridges between newcomer and Indigenous youth. Read the story here: Youth BRIDGES: Newcomer and Indigenous Cultures. In February 2017, the Regina Youth BRIDGES partners worked with Chancz Perry, a theatre professional, as well as his colleagues, Kristi Apodaca and Terrence Littletent. Youth learned theatre skills, hoop dance teachings and techniques. They shared their stories and experiences, and created a performance of exercises and skits. They performed for an appreciative audience of family, friends, funders, and community members. Click Here to stay up to date on what's happening in our community!